Launching a website for your business can be an overwhelming prospect. Where to begin? This short guide will give you a quick overview of what is needed to get a website up and running. Ideally, your domain name should be the same as your business name. If you are an existing business, people will search by your business name. If your business name is already taken, don’t panic, there are most likely variations that can be used. A good resource to see if your name is available is who.is. Once you have decided on some options for your domain name you need to register the name with a domain registrar. The registrar charges an annual fee to keep the domain name registered to you. If someone, or another company, is registering the domain for you make sure the registration is in YOUR NAME, not in the company that is providing this service. For example, YELP will register a domain name for you but it is registered to them, not you. Do I need dedicated or shared hosting? Is their technical support staff easy to get a hold of, knowledgeable and based in the U.S.? Do they provide back-up services? If my website is built in WordPress, do they support WordPress? What security features do they offer to ensure against hackers? What are you going to include in your website? This is the stuff that answers who you are and what you do. Quality content is going to attract visitors to your site and convert them into customers, your ultimate goal. The content should easily lead them through the site and get the information they are looking for. Information should be useful and current so that those users you just converted to customers will keep coming back for repeat business. Today there are many do-it-yourself tools so that anyone can build a website. Just because you can, though, doesn’t always mean you should. If you are serious about your business and marketing goals, a website building tool cannot replace a professional. Website is edited and tweaked based on client feedback then tested. Conduct client training sessions if necessary. 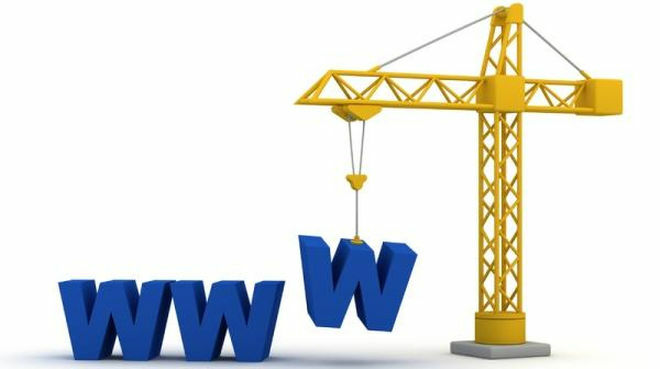 A website is not a “Build It and Forget It” project. Content should be kept fresh and updated. A content calendar can help keep you on schedule to add new blog posts and keep content updated. If your site is built in WordPress or another content management system, the software will need to be updated on a regular basis. Website security software should be installed and kept up to date as well. I hope this article has helped take some of the mystery out of developing a website for your business. This has been a high level view of everything that goes into creating a website from start to finish. We can help you through each step of this process and make the necessary recommendations for domain name, hosting company, and content. Contact us for a quick consultation and we can assess your project and give you an idea of cost and schedule.